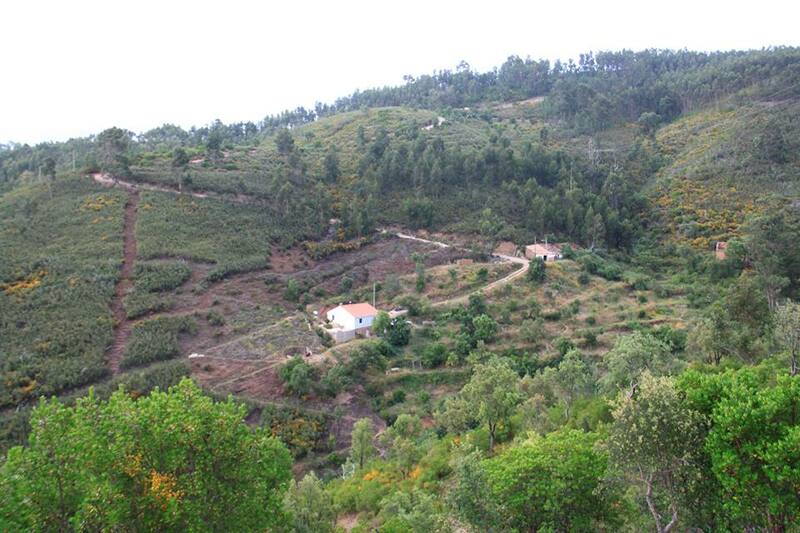 Situated in the Serra de Monchique on a steep mountain side is our Terra do Milho farm. 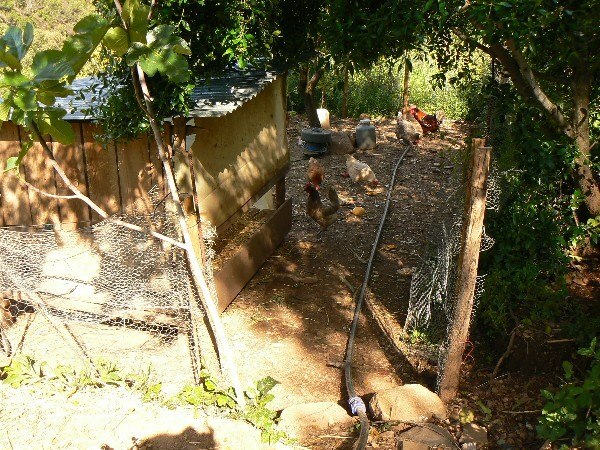 It is a small scale, self sustainable family farm. The Terra do Milho farm is officially run by the Ouro da Terra foundation. All our family members are represented in the foundations board. Together we manage the farm. Although Tom and Monique are actually living at Terra do Milho. At the top of the steep mountain side you will find our Medronho field. It is about 2 hectares big. Medronho, Arbutus Unedo, is a bush or tree that gives berries for making jam or liquor. Medronho is native to the south of Portugal. 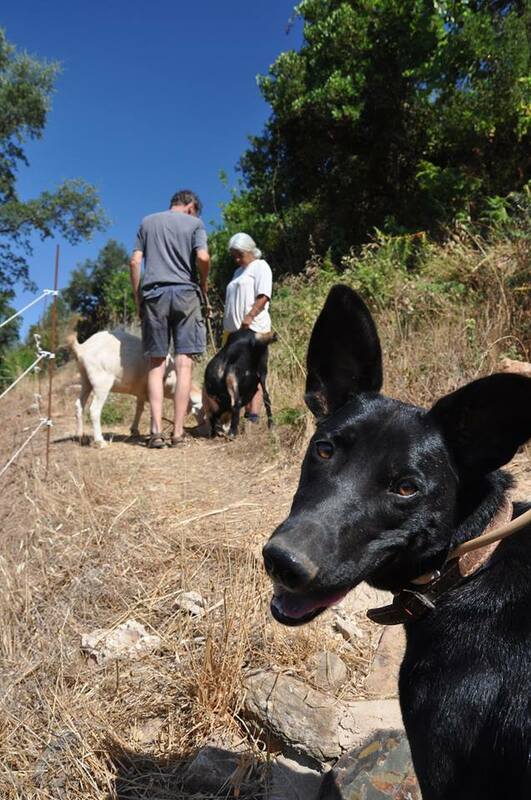 When you follow the road on our land down the slope you will meet Oxford our friendly farm dog. She guards the farm when we are out or working somewhere on the slope. She keeps an eye on the chickens and the goats. Walking further down there are two houses. The top house is our holiday house that we rent out during the whole year. A bit further down is the house Tom and Monique are living in, it is the main farmhouse. In the main house we are building a production kitchen for making cheese and jam. At the west side of the main house, from which you can see the ocean, is the goats barn. The goats live close to the house. So it is easy for us to milk them twice a day. At the other side of the goats barn is the goats field. It is about a hectare big. We divided the goatfield in three parts so we can rotate the goats. The goats provide us with milk. At the east side of the main house and down from the main house, further into the valley, our terraces with fruit trees lay. 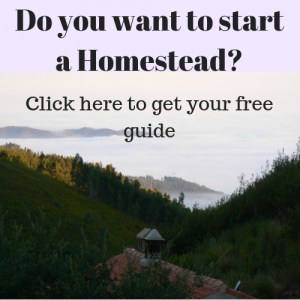 We have planted about 80 fruittrees in the past years. Some have grown quite a bit, others are still small. There is a large variate of different fruit trees. Amongst them apples, pears, apricots, peach, fig, oranges and lemons. On the terraces our chickens live. We use them for clearing and pest controle in the orchard. From the chickens we gat fresh eggs every morning. At the down side of our orchard we have a small campsite with the Bell Tents and our Straw Bale House. Deep down in the valley next to the creek we have a vegetable garden. On one part we planted berries on the other part we do some vegetables. Most of our vegetables however are grown on our towns gaden in Monchique. There we have a large vegetable garden of about 400 m².